Ookla, the internet speed-testing company behind the popular speedtest.net website have awarded one of their ‘Speedtest Recommended’ badges to a VPN for the very first time. And the recipient is one of our top recommended providers, NordVPN. VPNs are often thought to slow down internet connections as they redirect traffic down an encrypted tunnel and through an external server before it heads to the websites you want to visit. It is certainly true that some VPNs can have an adverse effect on connection speeds. Free VPN services especially will often have a noticeable impact on connection speeds. NordVPN in particular used to have a reputation for fairly slow connection speeds. But that has all changed over the past eighteen months or so. Over that period, NordVPN has invested in new super-fast servers across its network. If you connect to a NordVPN server today, the chances are that it will be one of their new ones. And this is reflected in the dramatic improvement in connection speeds NordVPN customers have been experiencing. All of the feedback we have received from NordVPN customers is hugely complimentary about connection speeds. And this view is echoed all over the internet. Now, those fast speeds have been recognised by one of the internet’s best-known and highest regarded speed-testing companies. Speedtest.net is the most used site of its kind on the net. It operates in every country in the world and has run more than 21 billion tests to date, with an estimated 10 million new tests run every day. They also offer apps for just about every device too. Speedtest measures internet connection performance metrics such as connection speed, bandwidth and latency. They test both download and upload speeds to reach the most definitive speed measurement available. Ookla does not just hand out Speedtest Recommended badges to any old site on a whim. NordVPN will have undergone rigorous testing across their server network before receiving their award. Ookla have not revealed any information about exactly what testing methodology was used, which is a shame as such details would add greater credibility to the badge. But Ookla does not hand these badges out often, so our view is that this shouldn’t detract too much from the award. And the fact that they are the first VPN provider to receive a badge is further testament to just how much their recent investment has improved user connection speeds. NordVPN has long been one of our top recommended VPN providers here at VPNCompare.co.uk. Their fast connection speeds are just one facet of what is a terrific and affordable all-round VPN service. NordVPN offers state-of-the-art 256-bit encryption as standard to all users. They also have a great range of additional security features including a kill switch, double encryption servers, which encrypts your data twice for maximum safety, TOR-over-VPN servers, the use of anti-DDoS servers, and an option for a dedicated IP address too. Like the Speedtest service, they also offer user-friendly apps for Windows, Mac OS, iOS, Android, and various other devices as well as browser extensions for the Chrome or Firefox browsers too. They are also one of the most cost-effective VPN providers around too, with prices usually far below those of their rivals. At the moment, you can grab an exclusive 2-year NordVPN deal for just US$3.99 (£3.00) a month by clicking one of the links on this page. 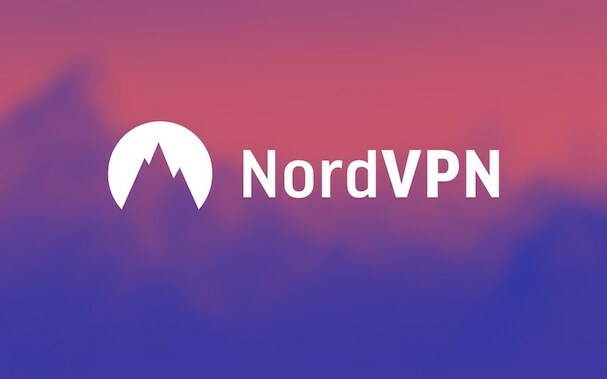 If you want to learn more about NordVPN, take a look at our full review of their VPN service which also gives an insight into our own testing of their connection speeds. Suffice to say, we are not surprised they have become the first VPN to be awarded a Speedtest recommended badge.